Solid successor of time-proven GPSMap series, made for extreme conditions. But the number of improvements over GPSMap 62s leaves much to be desired. The button-operated Garmin handhelds are still not for everyone. I’ve been an active user of Garmin GPS handhelds since 2002. 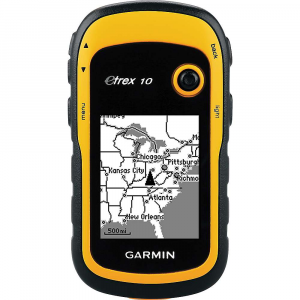 The first one was eTrex Vista—old, monochrome and equipped with 24 MB of memory for maps. It had really weak receiver with tendency for losing satellite signal in ALL less than perfect conditions (inside the pocket, in the forest, in the town, inside a vehicle). Also the screen had a flaw which reduced its lifespan to less than a year (my first Vista was replaced by warranty to another one, which broke the same way). Nevertheless it was a huge step forward over not having any GPS at all. It stored waypoints, recorded tracks, and displayed a tiny and dull map (only 8 gray scales for displaying roads, rivers, tracks, and bearings on map). In 2007 I became a user of GPSMap 60Cx. It was absolutely superior over Vista in all terms, except weight and dimensions. It had excellent sensitivity, large color display, auto routing, and ability to use much more detailed maps on MicroSD. Unfortunately, sometimes the CPU power was not enough for such maps (especially while navigating, when it displayed a blank screen while loading the map). The appearance of 60Cx fell in same time period with vast increase of my outdoor activity. I’d been using this handheld until the end of 2010, when it died right after returning from Sakhalin trip. 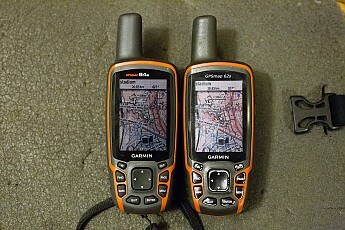 After repairing I replaced it to new GPSMap 62s. After 6 years of successfully using the GPSMap 62s I decided to replace it with a newer GPSMap 64s model. I decided that my old handheld is at the end of its lifespan, it glitches sometimes unusually, so I cannot rely on it fully. On the other hand, I was interested in new magnetless cadence sensor, which is supposedly not supported by old handhelds (my old Garmin speed-cadence sensor is so awkward and huge that I stopped using it a few years ago). 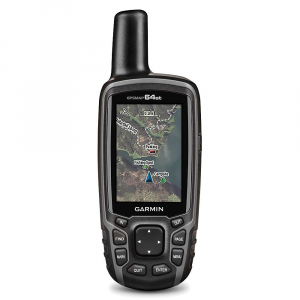 For most modern people a typical Garmin handheld looks like a parody of a smartphone: huge dimensions, archaic resistive touchscreen (pressure-sensitive) with tiny size and resolution, limited “smart” features, premium price. 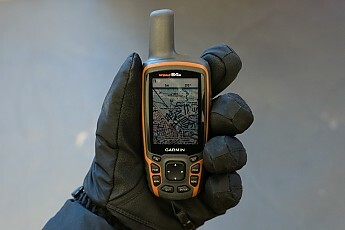 The GPSMap and eTrex series have even smaller screens without touch function—all operations are performed in old way, using the hardware buttons. 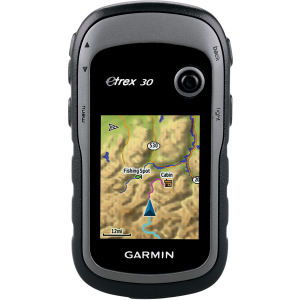 Small wonder that most casual people don’t need a Garmin device, as their smartphone is enough for most of their needs. But for backcountry activities the things are different: a button-operated Garmin handheld is like the HMMWV combat vehicle alongside to passenger cars (a touch-screen Garmin may be compared to civilian Hummer). First, they are really tough and able to work in most demanding conditions. For example, you can freely use your 64s in heavy insulated gloves or mittens without any need to take off them. I've been using my Garmins in extreme cold, in mud, in sand, and under week-long rains without any issues. Second, they have 100% sunlight-readable always-on display and battery life time at least 10 hours on single charge (the eTrex models work even longer due to less powerful CPU). The Garmin units support AA batteries of any kind (rechargeable, alkaline, and lithium), so you can find the power supply everywhere in the world. Unlike the smartphones, you don’t use the backlight except the darkness and indoors—the screen doesn’t fade in bright sun. In Battery Save mode (not used by me) the screen switches off after certain time, and battery life is further increased. Third, the button-operated handhelds are specifically optimized for convenient operation on the go. This is not the case even for the most rugged smartphones. I can easily access all features of my Garmin while riding the bike: exploring the map, watching the trip statistics, searching for camp places or train stations and navigating to them, managing the tracks (browsing the history and displaying the tracks on map). During the last 15 years I crashed only once while doing this :) — because of complete exhaustion by that moment. Conversely, on bicycle it’s impossible to operate your smartphone thoroughly without a risk of crash, as all operations require large amount of time, attention and very careful positioning of your fingers. I’d also note the excellent handlebar (optional) and carabiner (included with 64s) mounts for modern Garmin handhelds—simple, strong and reliable. Such mounts are very rare for smartphones. In summary it can be said that Garmin handhelds are designed for navigation in really difficult conditions (especially in severe weather). 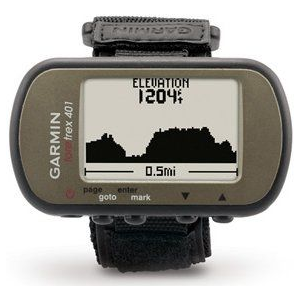 A very common mistake of those who are new to Garmin handhelds—considering them as a kind of electronic map. This is not correct. While there is an embedded electronic map, it is not the primary feature of device. Actually it is a navigation device designed for full-time guiding you along a route or track (either preloaded or calculated on the fly). It is not designed for mapping, as it has tiny screen size and resolution. Enlarging the screen would have a negative effect on its navigational properties (robustness, ease of use, weight, dimensions, battery life), which cannot be allowed. This means that in backcountry adventures you’ll need an appropriate map in addition to your Garmin GPS. I prefer the paper maps in full-scale tours or e-map in my tablet PC (or smartphone) in short trips. 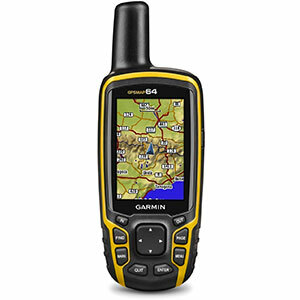 By the way, some of my friends volunteer in SAR operations (their non-profit organization "Extremum" each year performs several hundred attempts to retrieve the people lost in forest), and Garmin 62 is a standard issue in all search-related activities. I've donated my old 62s to them. I will not list all the features of 64s here, as they are numerous, and I don’t use many of them. Instead I will describe the most useful ones and how they help me in the trips. A rich choice of available vector maps. Generally there are two sources of such maps: your Garmin dealer (car, topo, and marine maps are available) and various unofficial maps based on OSM. Of latter I prefer the OpenMTBmap, because it is specifically designed for hiking and bicycling, with highly visible tracks and trails (in many cases their condition is also displayed). 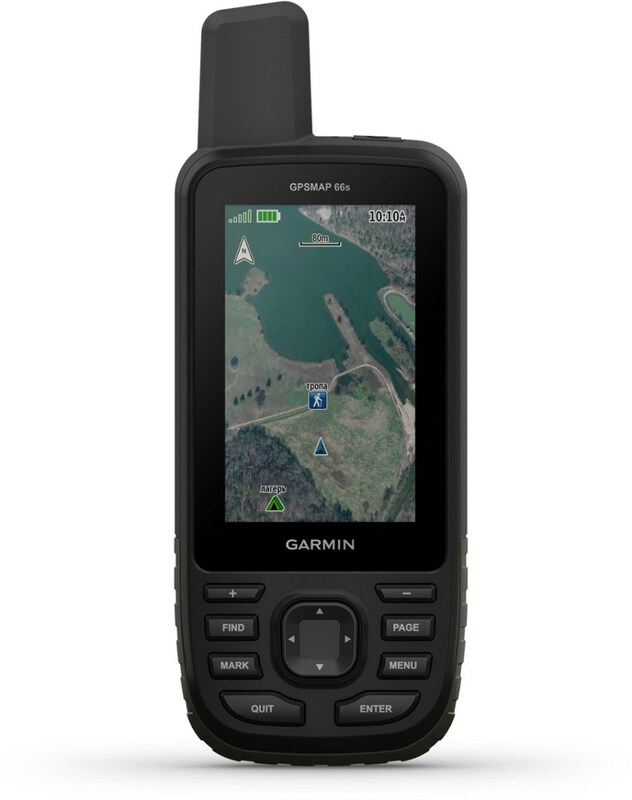 Unlike old Garmin units, you can store many maps in memory with ability to manage them individually (hide/unhide). In some cases there are custom-drawn maps not based on OSM, but in past years their usefulness has declined dramatically. Birdseye Imagery — official way to upload the satellite imagery and some raster maps to device. 1 year of usage is free for new owners of GPSMap 64s. Garmin Custom Maps (KMZ) — official way to make the raster maps on your own. Very poor in features and allowed map size. JNX file format — unofficial way to use the raster maps and satellite images. Requires altering (patching) the unit firmware, but ensures the broadest possible choice of available map data. I’ve been using it for about 4 years. Raster and vector map overlays. This is very useful feature, which enables you to see two maps at a time: raster topographic map (or satellite photo) and vector overlay. In my country there are very old military raster maps and modern vector maps, which often lack the detail. So I can combine both of them and even load different raster maps depending on current e-map scale. Fitness sensors support — speed, cadence, heart rate and temperature. 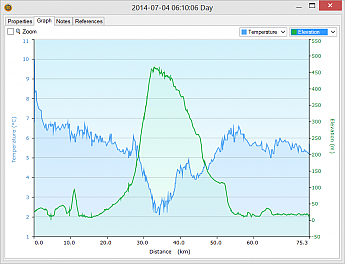 All these values are recorded to your track, and in Basecamp software you can make graphs based on your sensors data. For example, once in Iceland I tried to cross a ford which suddenly appeared too deep and fast, so my bicycle with heavy load almost began floating away from me. It required three people to finish the crossing without a risk of losing the gear. Later the track analysis has shown that during that crossing my heart rate jumped from 120 to 190 bpm. I use the Vivosmart HR tracker as a wireless HR sensor. Knowing the outside temperature in outdoor trip cannot be underestimated. The wireless Tempe sensor is especially good at this, because you can put it in any desired place with minimum influence of sun or body warmth. When riding with child in trailer, I put the sensor inside the cockpit to avoid excess heating or cooling. It’s also possible to measure the temperature outside your tent while sitting inside. Convenient POI (points of interest) search with dedicated FIND button. While riding the bicycle I can easily find a nearest train station or food store, calculate the distance along the roads and start navigating to that point, controlling the movement with trip computer. In adventure races this feature enables you to ride seamlessly from one checkpoint to another (provided they are stored as waypoints), and never miss the deadline time on finish. Once on such a race my teammate became really exhausted, so I used this feature to ride at lowest possible speed to finish some minutes before deadline. Dedicated MARK button for immediate placing the waypoint in current position. Later you may rename it and choose the appropriate icon. Useful for quick marking something without stopping the movement — e.g. for making changes in OSM after returning home. Holding the MARK button for several seconds enables “Man overboard” function—the point of accident is saved, and direct navigation to that point begins immediately. Quite good tracks and waypoints management. The tracks are archived to memory card automatically (I always use daily archiving), but you can easily retrieve any of them and display it on map (it can also stay on map permanently). Also you may prepare several tracks at home and display them on map during entire trip. The device can also navigate you along the track. “Interface pages” (e.g. : satellite data, map, compass, elevation plot, trip computer) with quick access, which can be scrolled back and forth and contain customizable data fields. A visual style of scrolling, number and order of pages are all customizable. “Main menu” — accessed by double click on MENU button, gives access to features of less frequent use. Any of them may be moved to “Page” status. Item order is customizable (almost everywhere in interface, BTW). “Setup” — accessible from Main menu. Contains system options and the least usable features. Activity profiles. This is a must-have feature which enables you to customize your device for any activity and easily switch between these presets. For example, you may need completely different interfaces, settings and loaded maps for hiking, MTB riding, bicycle touring, car driving or paddling. 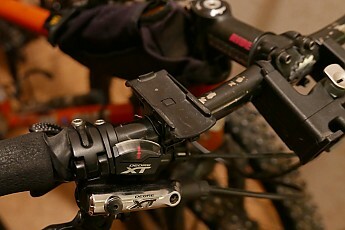 Unlike old Garmin units (pre-2010), here you may change the activity by several button clicks. Accurate elevation measurement with auto-calibration via GPS. Climb, descend and vertical speed calculations. Scalable elevation graph by time or distance for your current track and for any other track in memory (if it has elevation data). Crude elevation prediction while navigating the route. Barometer graph with correction to elevation changes, which is recorded even when unit is powered off (this may be disabled to reduce battery drain). Very useful for weather prediction in long trips. 3-axis magnetic compass. 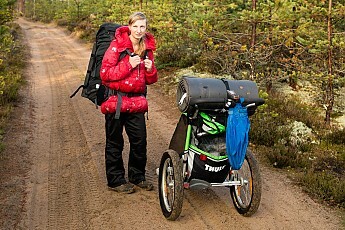 It was very useful on my old eTrex Vista, which had tendency to lose the satellite signal on entering the forest. On modern devices it has less use, as they are very accurate and sensitive. But it still may be useful for some (inside caves, buildings and so on). 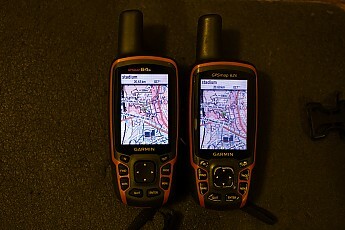 I can compare both GPS units side-by-side. In general, after 4 years of development the difference is tiny. Even their look and user interfaces are the same. The 64s still has a few improvements over 62s: Bluetooth, GLONASS, new speed and cadence magnetless sensors support, larger internal memory, faster CPU. There is a proprietary battery pack for new Garmins which allows charging inside the device, but technically it’s just 2xAA Ni-MH batteries +microcontroller. It may be useful for charging the device in your car, for example. A thing I dislike in 64 (and other newest Garmin handhelds)—dropped Unicode support in unofficial maps. With Unicode map in memory, the error appears during startup: “Cannot authenticate maps”. In other words, your map cannot contain more than a single charset. In most cases you won’t notice this limitation, but such maps exist (e.g. free Openmtbmap and Velomap for non-Latin countries—now you’ll be obliged to pay 20 EUR/year for access to special versions without Unicode), and this may be an unexpected problem for some. Another problem of 64-series is poor design of MicroSD card slot. 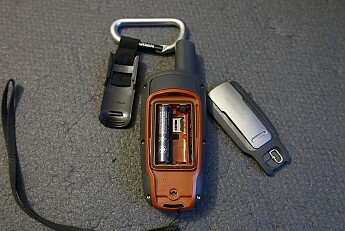 While removing the AA battery, you may accidently grab the slot cover by finger, and it opens. While replacing the batteries in exhausted condition, with frozen hands and under rain, you may even lose the memory card. In 62-series the card slot was located in different place, so it was impossible to open it accidently. By official data, the battery life of GPSMap 64s is 16 hours, while 62s is better with 20 hours. I’ve tested the battery life of both devices in similar conditions (close to reality) on similar batteries (2000 mAh Sanyo Eneloop). Each device was placed on window-stool with opened OpenMTBMap (very complex, in the city center), with disabled power saving, so the screen was always on (without backlight). In 64s I also disabled GLONASS and Bluetooth (as these are not required in real life and drain the battery). The measured battery life of both devices was almost the same—10 hours (note that my batteries are rather old, and you will get much better results on better batteries, especially Lithium ones). So, in reality the power consumption of both old and new handhelds is the same. I tried the Bluetooth feature—it was promising, but actually it’s next to useless. Wasting your battery on displaying phone notifications or transmitting stamina data to Garmin Connect on such a device is silly. The Basecamp Mobile is not available on Android, so I cannot transfer tracks to my phone either. They should have included ability for simple Bluetooth File Transfer (for loading your tracks to desktop PC and vice versa), but at this moment it’s still not present. May be they’ll include it in next firmware versions? Until that the data is to be transferred to PC via Mini USB cable, like 10 years ago. By side-by-side comparison, the 64s can load and scroll maps a bit faster (not much) than 62s. So if you like the complex maps, especially raster ones, you’ll like that. My Garmin GPSMap 64s has left a mixed impression. In summary it is technically better than 62-series predecessor. But if you own the old and good GPSMap 62-series device, and you’re happy with it, there’s a little sense in replacing it to newer 64-series. Despite the 4-year time gap between these series, the number of improvements leaves much to be desired (unlike the major technological leap from 60 to 62). UPDATE: Recently I found a strange bug in my unit's firmware. If I leave my Tempe sensor at home, the main unit routinely tries to establish connection with it. But unlike all other sensors (heart rate, cadence...), these connection attempts cause periodical signal losses from all ANT+ sensors! The period is almost exactly 30 seconds. The solution was manually disabling the Tempe sensor in menu, when it's not present. Also I've reported this bug to Garmin Support. Great review, Vladimir. You included so much helpful info. Thanks! Thanks! During the past 15 years I noticed that I became too addicted to Garmin GPS units. I can reach the most remote places which I'd never ever tried to visit without GPS. I've added a note how Garmin 62 helps my friends in SAR operations. Thanks, Vladimir, for an excellent review. I appreciate all the effort, including your history of using Garmin GPS units. This is important information for those of us considering buying a new unit. Added some more photos and a description of annoying software bug.